Invicta is an excellent good mid season green gooseberry variety. Its pale green fruits are ideal for cooking, jam making or freezing. 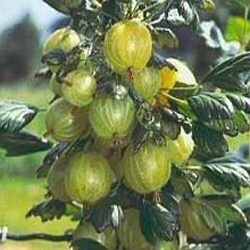 Invicta also has the ability to produce heavy crops of gooseberries. A vigorous, prickly, spreading bush. Furthermore, Invicta is resitant to mildew.